David "Davey" Johnson is a retired American Major League Baseball (MLB) player and manager. He was the starting second baseman for the Baltimore Orioles when they won four American League (AL) pennants and two World Series championships between 1965 and 1972. He made four All-Star Game appearances and received the Rawlings Gold Glove Award three times. He also played for the Atlanta Braves (1973–1975), Yomiuri Giants (1975–1976), Philadelphia Phillies (1977–1978) and Chicago Cubs (1978). His biggest success as a manager was when he led the New York Mets to the 1986 World Series title. The ball club captured the National League (NL) East under his watch in 1988. 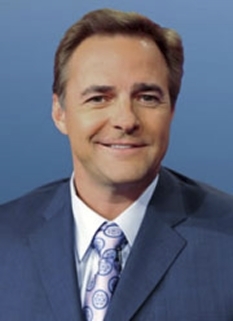 The teams he piloted in the three years from 1995 to 1997 all made it to their respective League Championship Series – the Cincinnati Reds in 1995 and the Orioles in both 1996 and 1997. 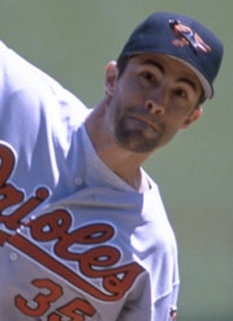 Johnson won the American League's Manager of the Year Award in 1997 when he led the Baltimore Orioles wire-to-wire to the American League East Division Championship. He capped off his managerial career with the Los Angeles Dodgers. He is currently a Senior Adviser for the Washington Nationals. After one season playing baseball at Texas A&M University, Johnson signed with the Baltimore Orioles as an amateur free agent in 1962. He made the team, and was in the opening day line-up for the 1965 season opener, but spent most of the season in the minors. He responded the following year with a .257 batting average, seven home runs and 56 runs batted in to finish third in American League Rookie of the Year balloting for the 1966 World Series champions. In the 1966 World Series, Johnson earned the distinction of being the last person to get a hit off of Sandy Koufax. Johnson reached the World Series again with the Orioles in 1969, 1970 and 1971, winning his only other ring as a player in 1970. He also won the AL Gold Glove Award at second base all three seasons. Following the 1972 season, Johnson to the Atlanta Braves. Johnson's best statistical year came in 1973 with the Braves when he tied Rogers Hornsby's record for most single-season home runs by a second baseman with 43. The 1973 Braves featured the first trio of teammates ever to all hit 40 home runs in the same season when Johnson hit 43, Darrell Evans hit 41 and Hank Aaron hit 40. Johnson's second-highest was 18 home runs in the 1971 season - considered to be a good number for second baseman, itself. 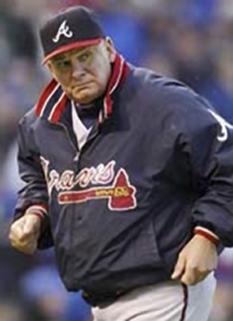 Four games into the 1975 season, Johnson was released by the Braves. He signed and played in the Japanese League for the Yomiuri Giants (1975–1976). He returned to America in 1977, signing as a free agent with the Philadelphia Phillies. During the 1978 season, Johnson hit two grand slam home runs as a pinch-hitter for the Phillies. Shortly afterwards, he was dealt to the Chicago Cubs, where he ended his playing career. 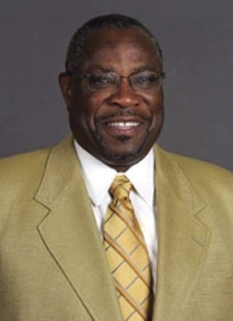 Johnson began his managerial career in 1979 with the independent Miami Amigos of the Inter-American League. He took over the parent club Mets, which hadn't won a pennant since 1973, in 1984, and was eager for success. 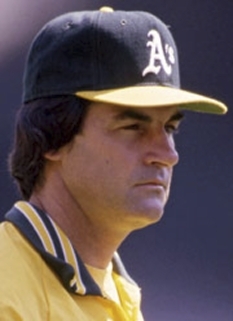 Johnson went on to become the first National League manager to win at least 90 games in each of his first five seasons, with the highlight being winning the World Series in 1986 against the Boston Red Sox. After more than two seasons out of baseball, the Cincinnati Reds hired him 44 games into the 1993 season. As was the case with the Mets, Johnson revived the Reds almost immediately. He led the team to the National League Central lead at the time of the 1994 players' strike, and won the first official NL Central title in 1995. However, early in the 1995 season, Reds owner Marge Schott announced Johnson would not return in 1996, regardless of how the Reds did. 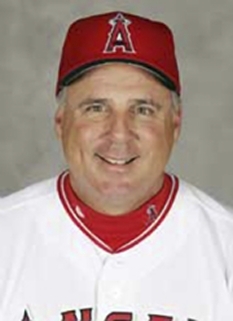 Schott named former Reds third baseman Ray Knight (who had also played for Johnson on the Mets championship team) as bench coach, with the understanding that he would take over as manager in 1996. Almost immediately, Johnson returned to Baltimore as the Orioles' manager. Again, he breathed new life into a struggling franchise as the Orioles earned a wild-card playoff berth in 1996 (the Orioles' first trip to the postseason since winning the 1983 World Series) and the American League East title in 1997. Johnson and Orioles owner Peter Angelos never got along; the two men almost never spoke to each other. The final straw reportedly came when Johnson fined Roberto Alomar for skipping a team banquet in April 1997. Johnson ordered Alomar to pay the fine by making out a check for a fine to a charity run by Johnson's wife, Susan. However, Alomar donated the money to another charity after players' union lawyers advised him of the possible conflict of interest. In negotiations after the season, Johnson was prepared to admit he'd made an error in judgment regarding the fine, but Angelos demanded that Johnson admit that he'd acted recklessly in not leaving the decision to him. Johnson refused to do so, and offered his resignation—which was accepted by Angelos on the same day that Johnson was named American League Manager of the Year. In 1999, Johnson was hired as manager of the Los Angeles Dodgers, who had beaten Johnson's heavily favored Mets in seven games in the 1988 National League Championship Series. Unfortunately, Johnson suffered the first full losing season of his managerial career, finishing in third place eight games under .500. While the Dodgers rebounded to second place the next year, it was not enough to save Johnson's job. 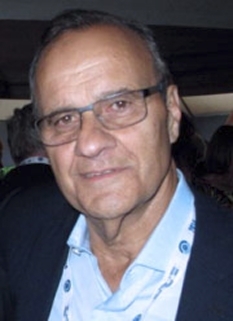 In 2009 he managed Team USA in the 2009 World Baseball Classic. In November, 2009 Johnson was hired as a Senior Adviser by Washington Nationals. In 2009 Johnson was also the head coach for the Florida Collegiate Summer League, DeLand Suns, and has returned as the head coach for the 2010 Sanford River Rats season. 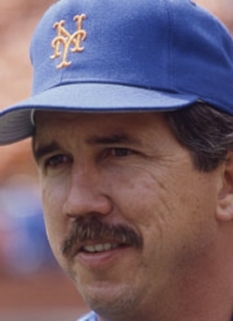 Davey Johnson was inducted into the Mets Hall of Fame with Frank Cashen, Darryl Strawberry, and Dwight Gooden on August 1, 2010. DISCLAIMER: PFP Sports Talent Agency does not claim to represent itself as the exclusive agent for Davey Johnson. PFP Sports Talent Agency is a booking agency that represents organizations seeking to hire pro athletes and sports personalities such as Davey Johnson for speaking engagements, personal appearances, product endorsements and corporate entertainment. Fees on this website are estimates and are intended only as a guideline. Exact fees are determined by a number of factors, including the location of event, the talent’s schedule, requested duties and supply and demand. PFP Sports Talent Agency makes no guarantees to the accuracy of information found on this website and does not warrant that any information or representations contained on this website will be accurate or free from errors. We are often asked how can I find out who is Davey Johnson's agent? To find Davey Johnson appearance fees and booking agent details, you can contact the agent, representative or manager through PFP Sports Talent Agency for speaking fee costs and availability. PFP Sports Talent Agency can help your company choose the ideal sports personality for your next marketing campaign. To hire Davey Johnson for an appearance, speaking event or endorsement, contact Davey Johnson's booking agent for more information.